Developed to achieve maximum grip in wet outdoor environments. 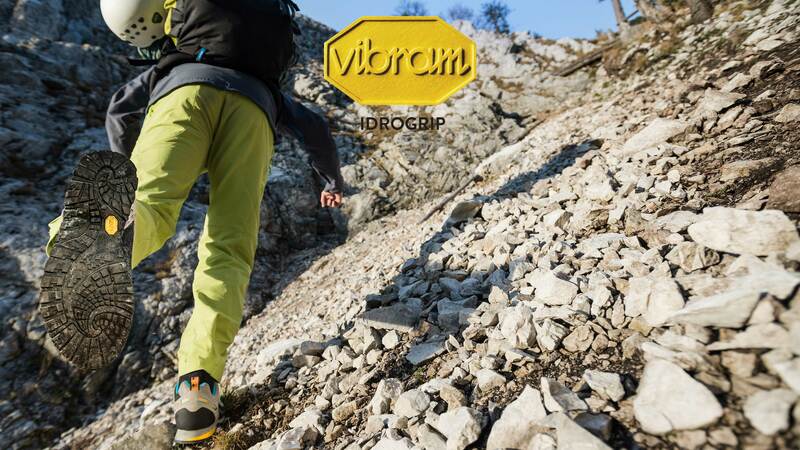 Vibram IDROGRIP compound is perfect for activities ranging from Fly Fishing to technical approach and easy climbing (4° UIAA). Its superior performance on wet rock makes it the perfect compound for difficult trekking trails where overall super performance is required.